They are available at no extra charge with Good Ground Website Design. You may be confused. How can this be done? You save money because Good Ground Website Design has spent the time and money to build these features so that all Good Ground Website Design users can use them. This means the thousands of dollars in development you would have to pay has already been paid for you. You get the savings. You get a FREE domain name in the format name.goodgroundwebsites.com and you can opt to set up your own domain name (e.g. name.com) on your site. 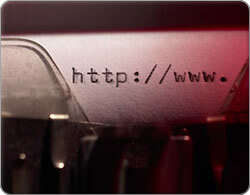 Click here to see how easy it is to get your own domain name without goodgroundwebsites.com in it.